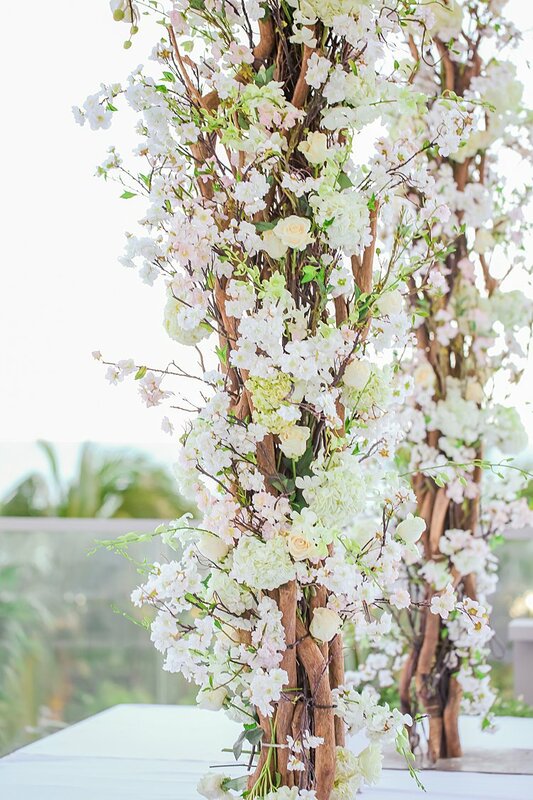 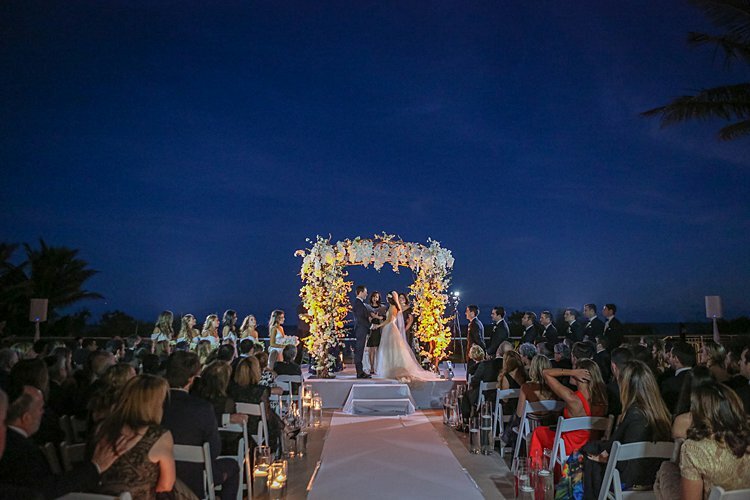 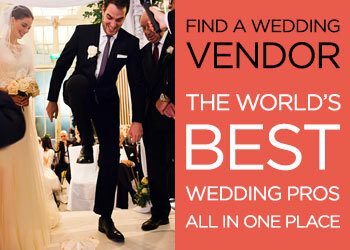 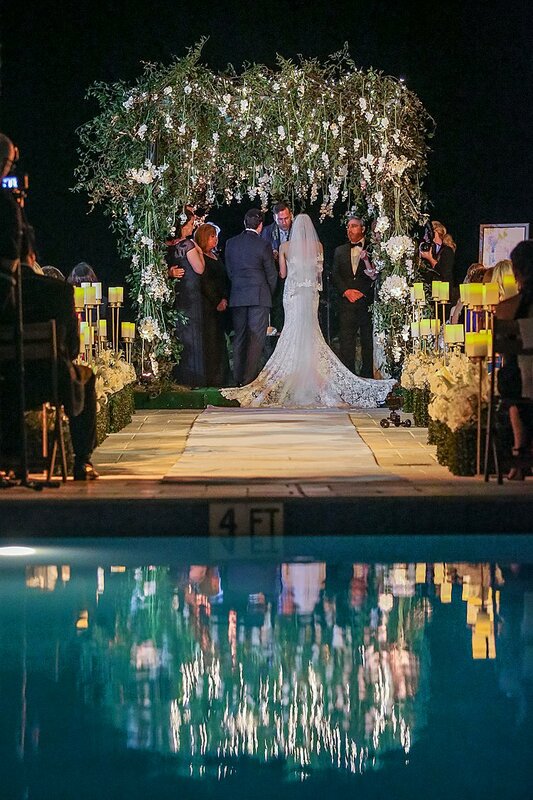 Why hello, floral chuppah of our dreams. 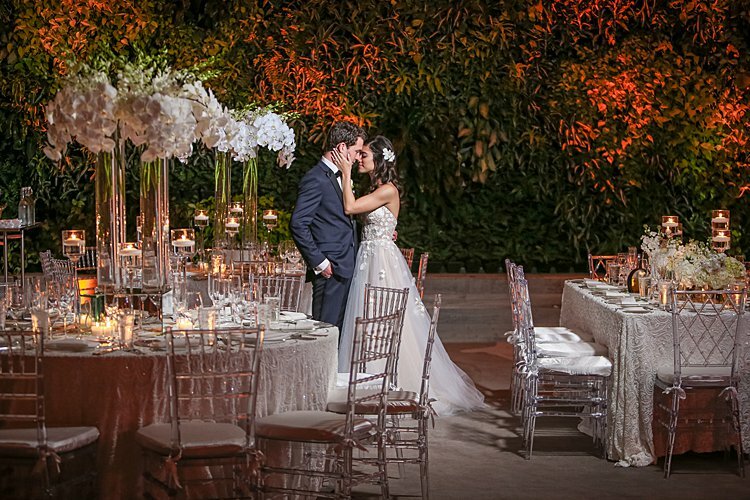 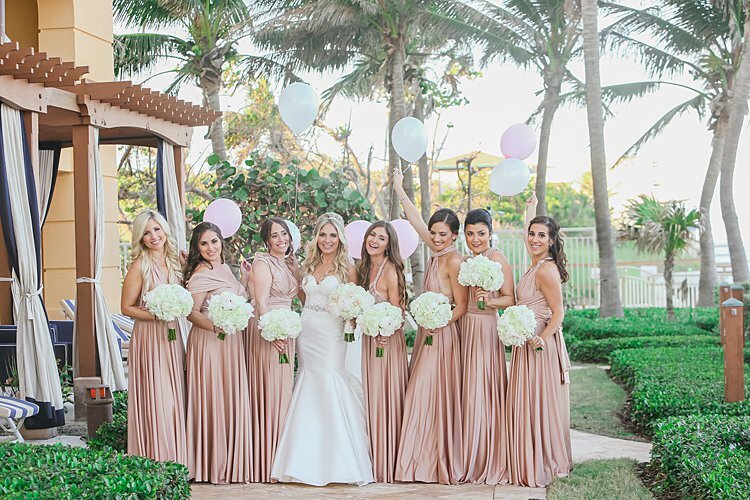 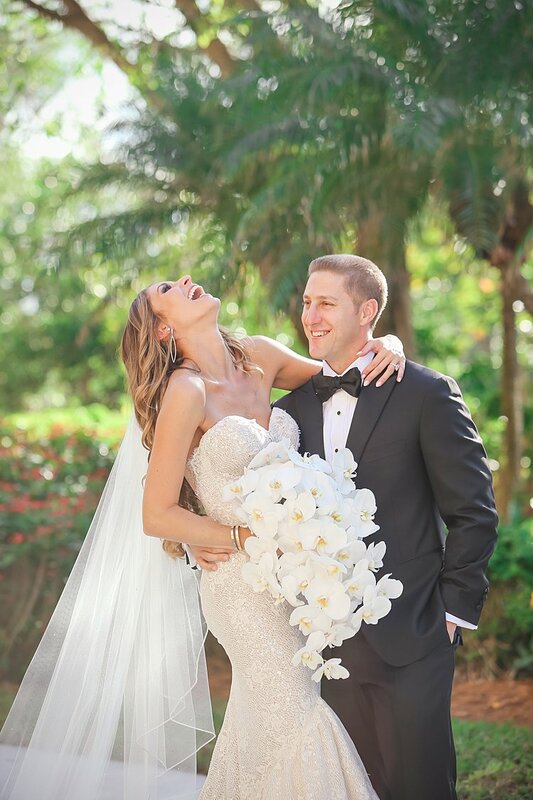 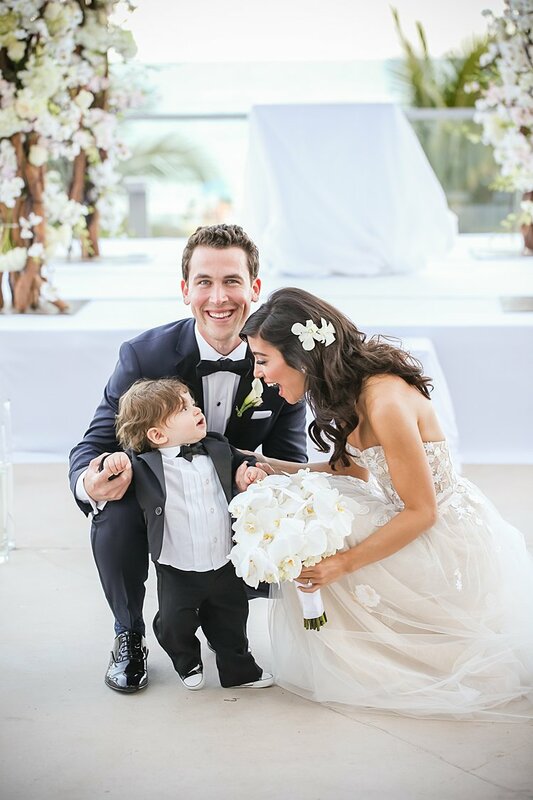 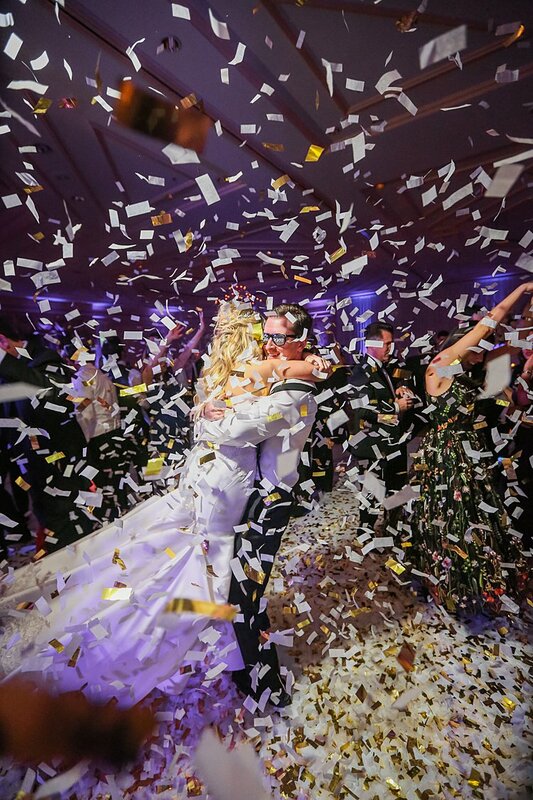 It was absolutely roses for daaaaays at the Florida-perfect destination Jewish wedding of Sara, a real estate broker (and Smashing The Glass Brides Club member! 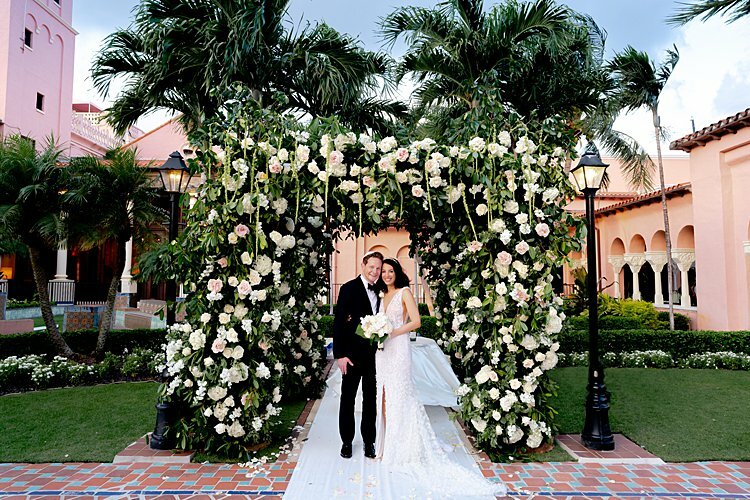 ), and Eric, an immigration attorney — is it just us, or are those blooms a perfect match for Boca Raton Resort and Club’s trademark pink building? 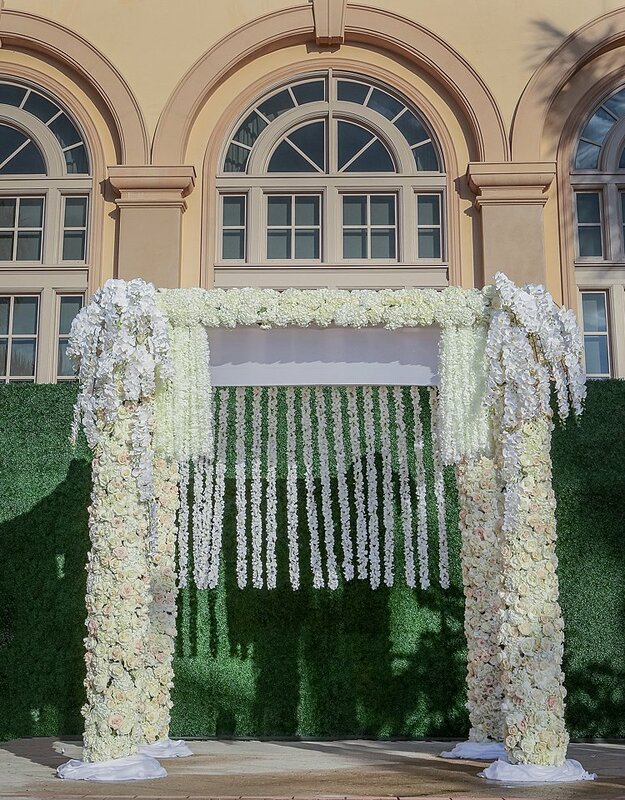 We’re pretty sure you’ll agree that STGd Vendor Carlos Marquez of Boca by Design really outdid himself on this one (not to mention the cascading florals from the chandelier in the reception space!). 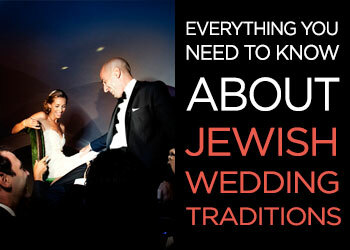 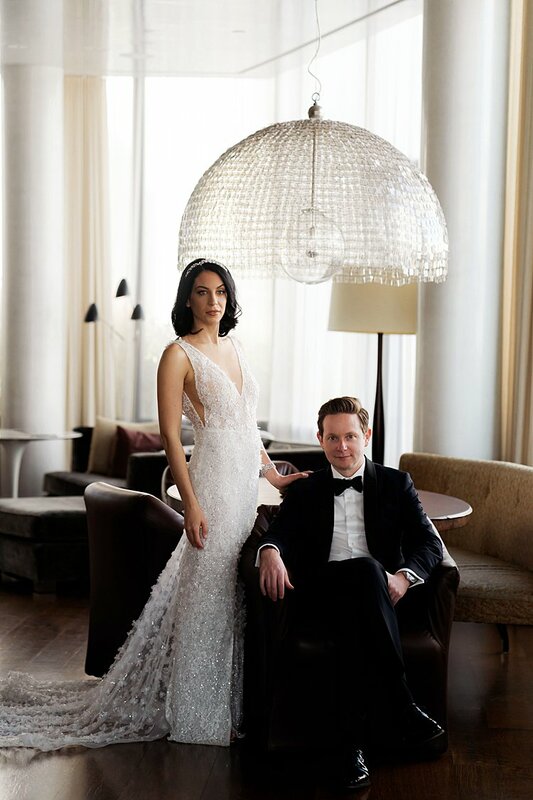 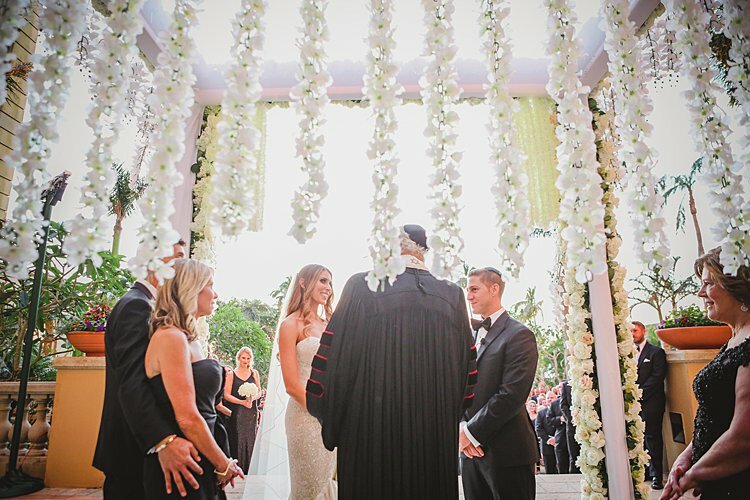 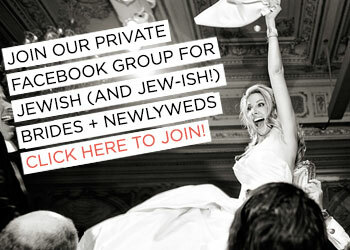 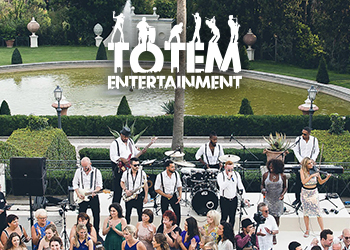 Photographer Susan Shek captured the day SO perfectly, from all the gorgeous details (and there are lots) to the ultra-emotional chuppah — seriously, this is one sequence you don’t want to miss. 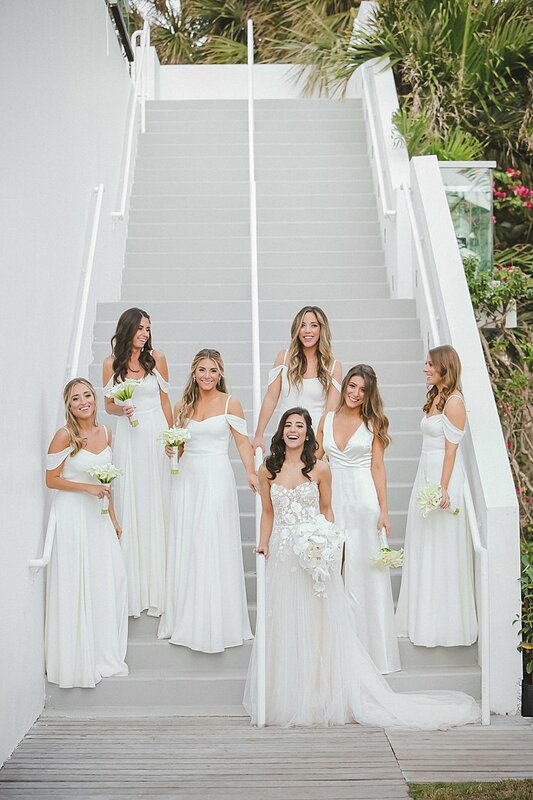 Sara raves that Susan “knows how to get the right photos, the right angles, and more than that, she became a friend in the process” — pretty much all you could ever ask for, right?! 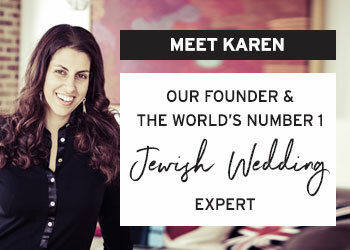 Props to Sara’s mom for a cool, totally unexpected favor idea: she brought challah covers back from Israel for all the guests! 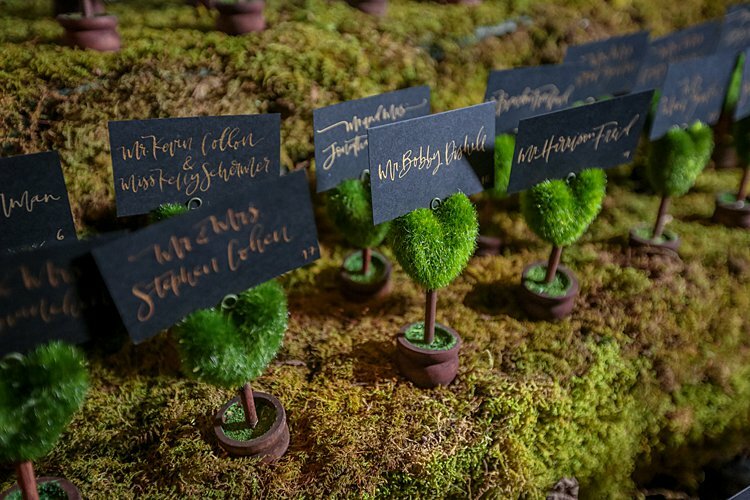 We’re not surprised to hear that people loved them — and it’s a great reminder that the sky’s the limit when it comes to favors; it’s fine (actually, awesome!) 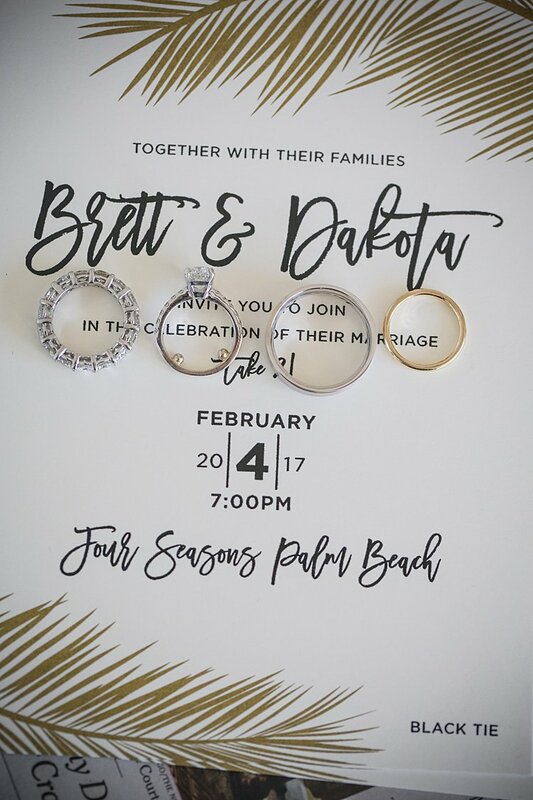 to go off the beaten path with something unique. 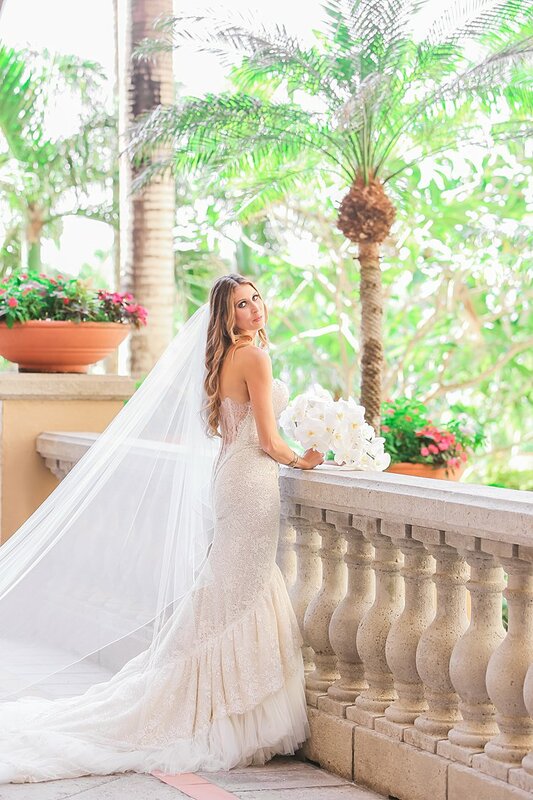 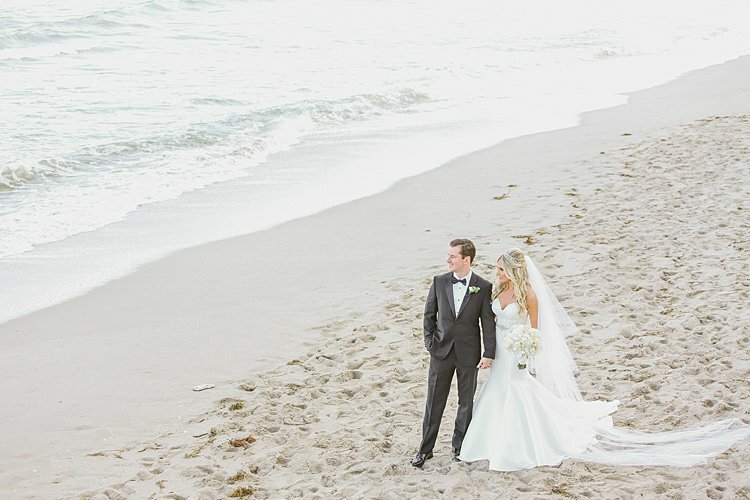 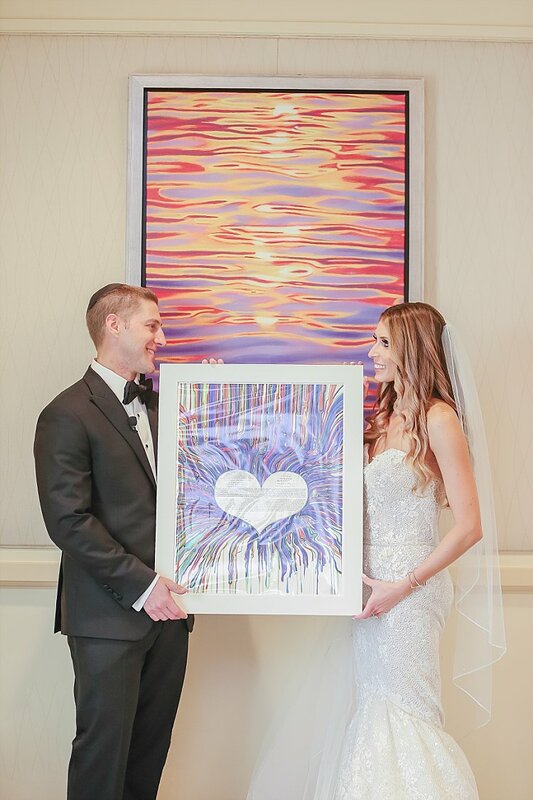 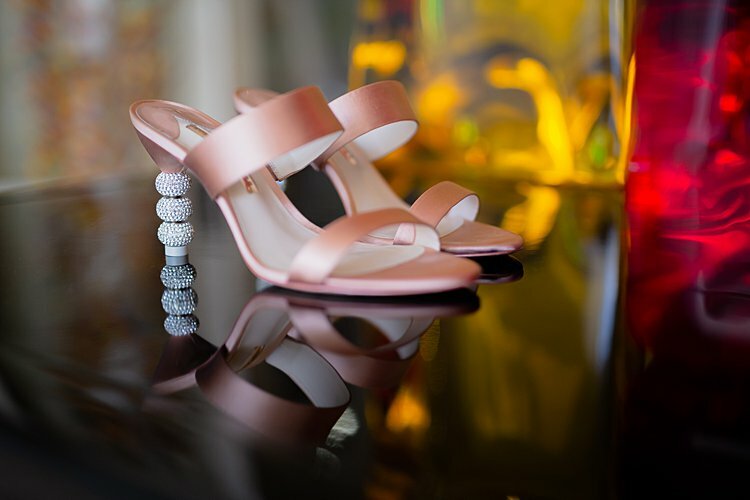 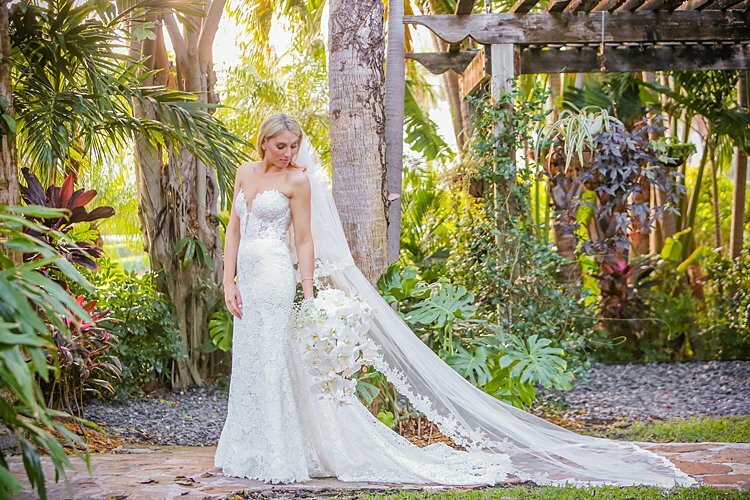 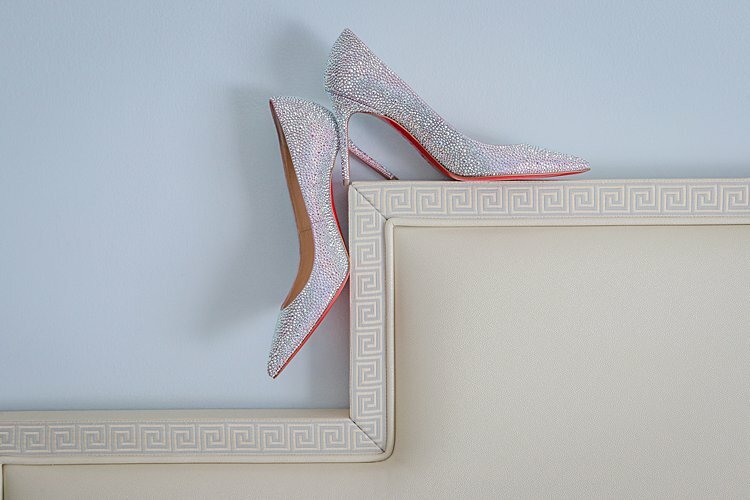 Sara, the bride: We got married at Boca Raton Resort and Club. 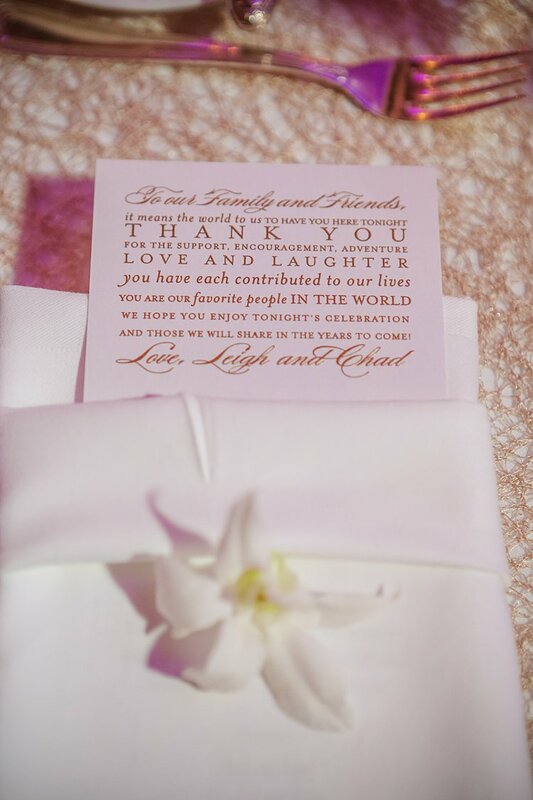 We wanted to get married somewhere that was relatively easy for everyone to get to (Texas, Paris, Israel, NYC, Costa Rica etc) and warm. 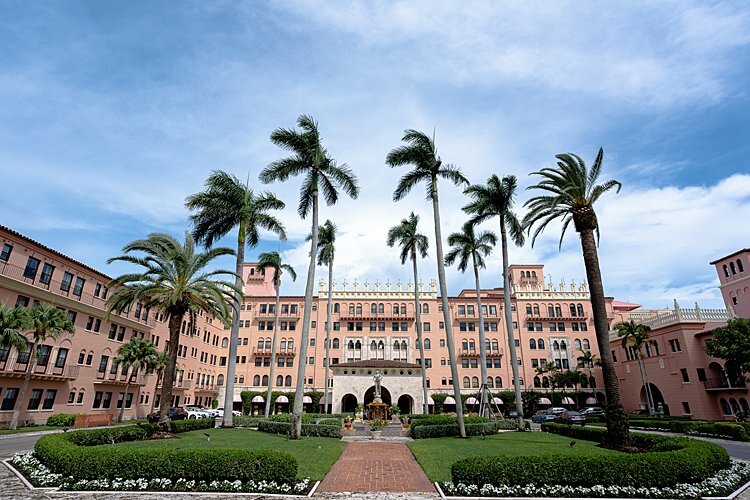 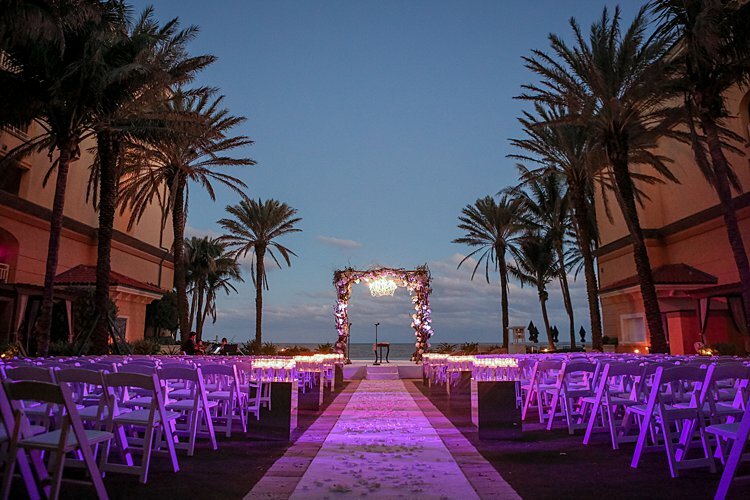 I wasn’t, and still am not, too familiar with Boca, but when I went to visit the venue with my mom and sister, we all fell in love with the pink building, the outdoor space, and the cathedral ballroom.